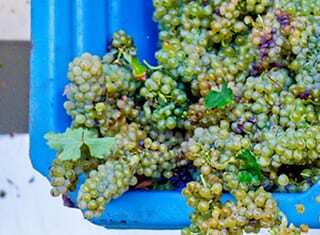 The analysis of the 65 commercially-available dry South African Chenin blanc wines yielded important information regarding the thiol content of these wines (see Part 1). Bottle labels, fact sheets and communications with tasting room managers and winemakers produced interesting additional details about the wines’ origins, winemaking practices, vine age and trellising systems, and last, but not least, price. 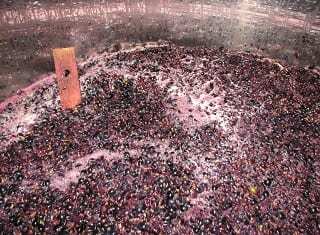 The data collected was used to explore correlations between various characteristics of the wines and thiol levels using appropriate statistical means. The usefulness of data mining exercises, as emphasised by Valente (2016), prompted a mining of trends within the thiol results. It must be emphasised that this is not a controlled study where one factor was varied at a time. In fact, in the real world all of these factors interact with one another. This means that any significant differences found, cannot be said to be due to or caused by the factor. Rather, they are correlated with the factor. Nevertheless, this type of informal data mining yields interesting information, as it has the potential to help form hypotheses and direct future research. 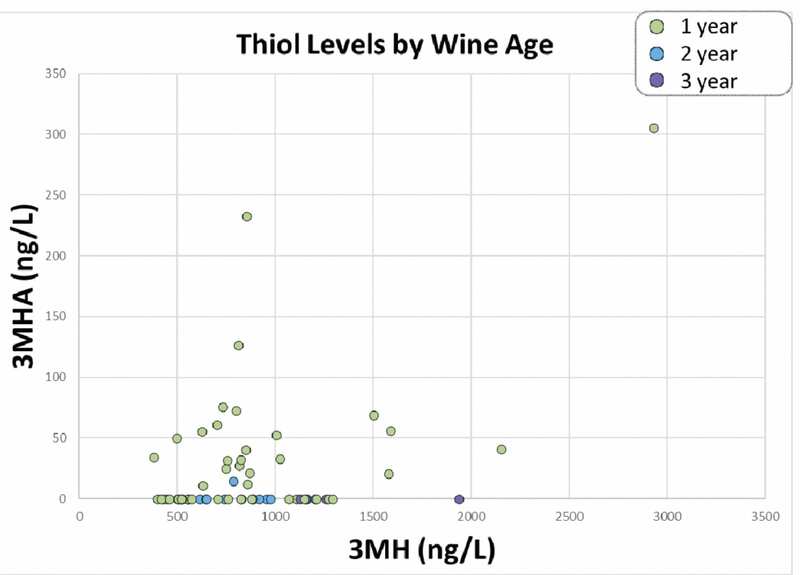 As thiols are unstable over time, the age of the wine at the time of analysis was considered (Figure 1). The levels of 3MHA in one-year-old wines are significantly higher than the levels for two- and three-year-old wines. The mean for 3MH, on the other hand, was slightly higher for the group of two- and three-year-old wines. This observation supports the finding that 3MHA is unstable and decreases rapidly over time.1 Since the values of 3MHA are probably at a maximum at the end of fermentation and decrease from thereon, speculatively the starting 3MHA values of these Chenin blanc wines may have been even higher just after fermentation. The wine age factor is also linked with that of wood contact, as older wines measured were likely matured in oak barrels. The instability of 3MHA is important for winemakers to recognise, as it can explain one way in which wine aroma changes during ageing. FIGURE 1. Scatter plot of the levels (ng/ℓ) of 3MH and 3MHA, colour-coded according to the age of the wine at analysis. In the case of the samples measured in this study, region was considered as the “Wine of Origin” (W.O. ), as indicated on the bottle label. A significantly higher level of 3MHA was found in the Coastal Region, and levels of 3MH were significantly lower in wines from Stellenbosch. One might think this could be due to the more frequent use of oak contact in Stellenbosch (68% of wines from this region had oak contact, compared to 28.6% of the Coastal Region wines). As the W.O. regions are not distinct geographical areas, but rather are nested within one another, these differences should not be attributed to geographic location, climate, or terroir. The Western Cape encompasses all the other regions, and the Coastal Region includes the Paarl and Stellenbosch regions (WOSA). Rather, different marketing strategies, cultivation practices or vinification practices are associated with choosing one W.O. over another. For example, there may be an interaction with price, where lower-cost wines with less oak contact are likely to be large-volume blends of Chenin blanc grapes from multiple regions, and therefore labelled as W.O. Coastal Region or Western Cape. The more conservative definition of 35 years or older was used for this study. 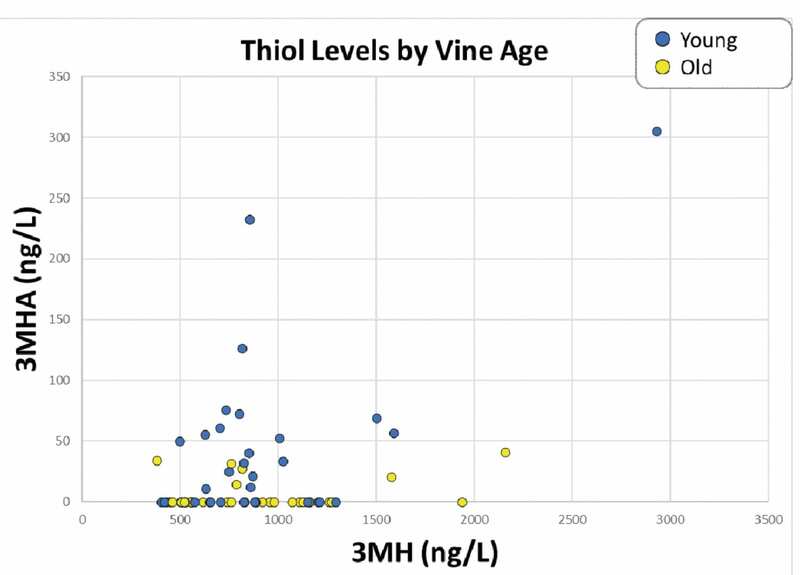 3MHA levels are significantly higher in young-vine wines than old-vine wines, but this effect was not observed for 3MH (Figure 2). 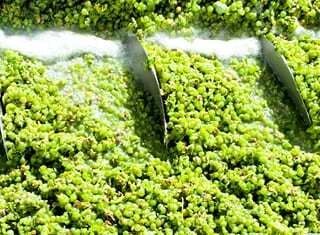 The effect of vine age on Chenin blanc has not been published yet, but there is growing interest for this research topic. Old vines may be more likely be bush vines,2 and more likely to undergo a more oxidative ageing process in barrel. FIGURE 2. Scatter plot of the levels (ng/ℓ) of 3MH and 3MHA, colour-coded according to the age of the vine. The wines categorised as “bush vine” were those marketed as bush vine wines either on the bottle or on the fact sheets, and all other wines were assumed to be “trellised”. This decision was made on the assumption that since “bush vine” wines are well-regarded, farms would put this in their marketing materials. No significance was found for the effect of trellis type on either 3MHA or 3MH levels. It is possible that in general thiols are affected by trellis type. Different trellising systems affect the amount of light and air penetration into the canopy which, in turn, can affect the accumulation of compounds related to certain aromas. There is a potential that specific types of trellising systems within the “trellised” wines could also have significant effects on thiol levels. Wines fermented in tank and bottled without any wood contact, were considered “unoaked” and wines with any degree of contact (from partial barrel fermentation in old barrels to fermentation and ageing in 100% new oak), were considered “oaked”. 3MHA levels are significantly higher in unoaked wines. This is not surprising, as one of the recognised effects of maturation in oak barrels is a small amount of oxygen transfer, and aeration can reduce thiols through a variety of reactions.3 It also may be the case that this difference is due to time, rather than oak contact. Wines that receive wood contact are generally aged longer, leading to more drastic decreases in 3MHA levels before the wines are released. Significant differences were not seen for 3MH. Levels of 3MH have been reported to decrease during barrel ageing in red wine due to oxidation,4 though we found no significant differences in the 3MH levels in the case of these Chenin blanc wines. 3MHA levels are significantly higher in wines that spend less time on the lees, but this finding is not significant for 3MH (Figure 3). Lees have been shown to react with SH-groups to remove volatile thiols.5 There could also be an interaction between factors where wines aged on the lees for longer could be more likely aged in oak barrels and released later, and therefore were older at the time of measurement. FIGURE 3. Scatter plot of the levels (ng/ℓ) of 3MH and 3MHA, colour-coded according to the time the wines have spent on the lees. 3MHA levels are significantly higher in lower price wines (Figure 4). The same correlation was not observed for 3MH. Wine price is a complicated factor determined by many different variables, including the degree of precision viticulture employed, vineyard yield, use of high-tech winery equipment, barrel maturation, time aged before release, marketing and brand value. Of these, the factor considered in the previous sections is barrel maturation. As oaked wines are costlier to produce, the negative correlation between 3MHA and price is in agreement with the lower levels of 3MHA in oaked wines. Additionally, the more expensive wines were more likely to be older due to extended ageing in oak, so the price correlation also agrees with the differences in 3MHA due to age of these wine. FIGURE 4. Scatter plot of the levels (ng/ℓ) of 3MH and 3MHA, colour-coded according to the price of the wine. 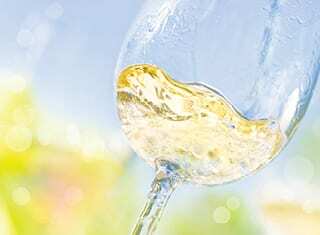 The knowledge that thiols are present at appreciable levels in South African Chenin blanc wines is exciting, as it opens up new avenues of research. It is notable that in the trend exploration aspect of the work, most of the significant differences in terms of levels were found for 3MHA, and not 3MH. This illustrated the fact that 3MHA was more variable in these Chenin blanc wines, but factors affecting 3MH levels are still unclear. This two-part article presents the levels of two important thiols, 3-mercaptohexanol (3MH) and 3-mercaptohexyl acetate (3MHA), in commercial South African Chenin blanc wines. The results were obtained in a survey that evaluated 65 wines of various ages. Part 1 included an introduction on the presence of thiols in Chenin blanc wines, followed by general results obtained during the survey. Part 2 presents the results when the wines are categorised based on age, price, origin, etc. We explore some of the trends associated with these categories and discuss the importance of this type of informal data mining. Hanekom, E., 2012. Chemical, sensory and consumer profiling of a selection of South African Chenin blanc wines produced from bush vines. Stellenbosch University. Smith, M.E., Bekker, M.Z., Smith, P.A. & Wilkes, E.N., 2015. Sources of volatile sulfur compounds in wine. Australian Journal of Grape and Wine Research 21, 705 – 712. Blanchard, L., Darriet, P. & Dubourdieu, D., 2004. Reactivity of 3-mercaptohexanol in red wine: Impact of oxygen, phenolic fractions and sulfur dioxide. American Journal of Enology and Viticulture 55, 115 – 120. Vasserot, Y., Steinmetz, V. & Jeandet, P., 2003. 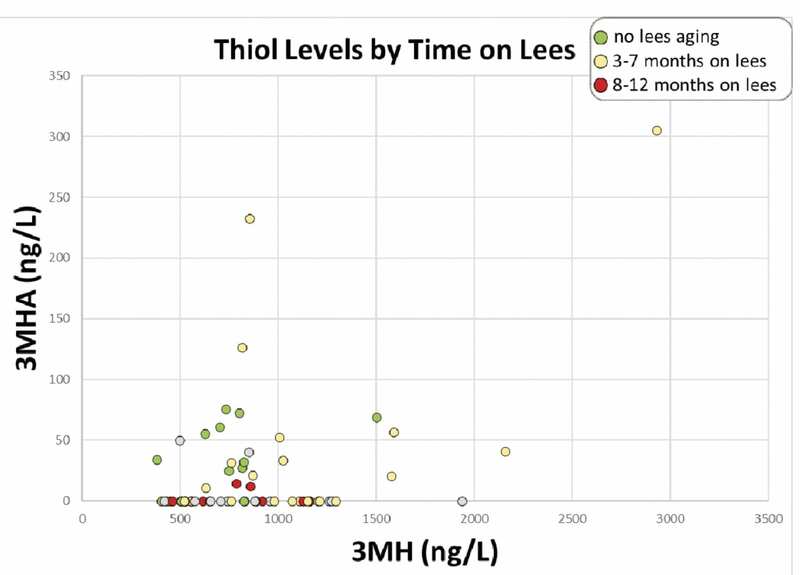 Study of thiol consumption by yeast lees. Antonie van Leeuwenhoek, International Journal of General and Molecular Microbiology 83, 201 – 207.